Good match. Somewhat surprisingly, English maintained control for a good portion of the match. But then again, Ziggler often comes back from behind, so it shouldn’t be too much of a surprise. 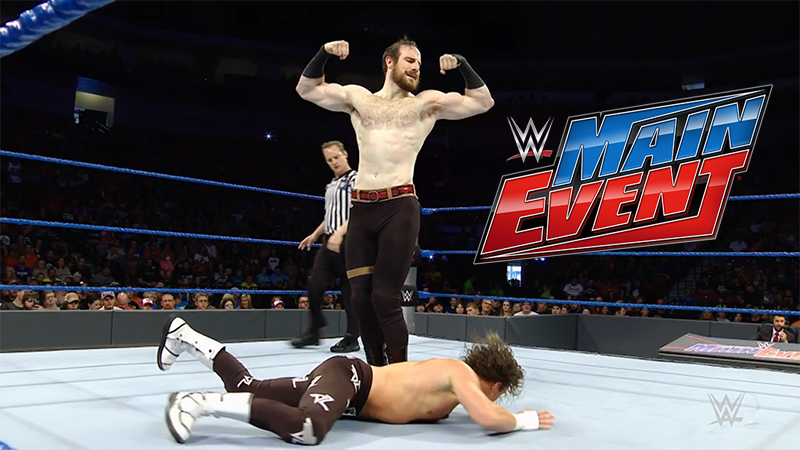 This one had good action, and though it was a Ziggler-style match, English had some nice moments. A new Universal Champ is determined on RAW. And Michael Cole completely overreacts. From RAW, Kevin Owens celebrates his victory. From RAW, Chris Jericho faces Seth Rollins. This was similar to their previous match on Superstars, but I don’t think it was quite as good. It was shorter and didn’t seem to be as hard-fought. From RAW, Sasha Banks teases bad news from an injury. From RAW, Kevin Owens vs Sami Zayn. Kind of a forgettable show, but the Ziggler/English match was a fun matchup that won’t happen often. The Swagger/Mahal match was unremarkable. Plus, I like the random pairing of Ziggler and English. They worked well together.